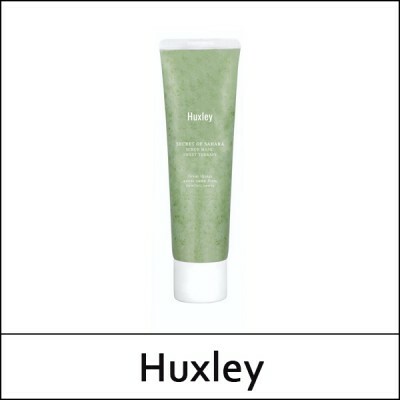 A purifying scrub mask made with naturally derived ingredients, Huxley Sweet Therapy Scrub Mask easily sloughs off impurities without drying out skin. Packed with Sahara’s prickly pear cactus extract, which is full of skin-benefiting antioxidants, vitamin E and linoleic acid, Mask warms up on skin during application, creating a gentle heat that reduces swelling and helps draw out impurities. Sucrose and walnut shell powder aid the removal of dead skin cells and other impurities while luffa helps sealing in moisture. Great for all skin types, especially those concerned with excess sebum production and clogged pores. Made without parabens, synthetic dyes or mineral oils. After cleansing, spread a thin layer onto wet skin. Massage using circular motions avoiding the eye area. Rinse with lukewarm water. Follow with toner, serum and moisturizer.